Photo Gallery Location: Click HERE! For the full size image, click on the painting. 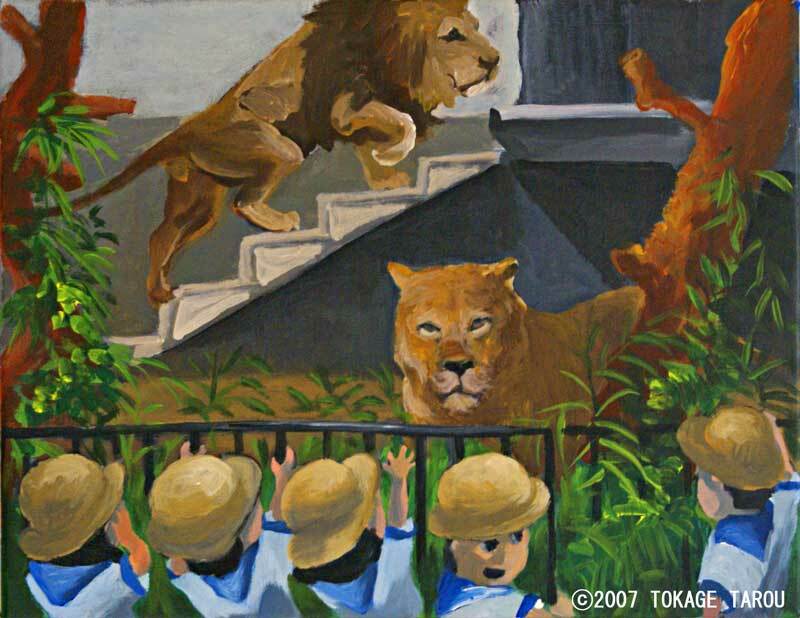 The Kyoto Municipal Zoo is the second oldest zoo in Japan, after the Ueno Zoo in Tokyo. It looks like the animals are living in a Zen Garden. The site is relatively small for large animals, but you can observe them from a much closer distance. They looked at each other for a while. The young Gibbon's stuffed toy cat is lying on the ground beside her. The young girl notices the toy cat and perhaps feels a connection as they look at each other intently. 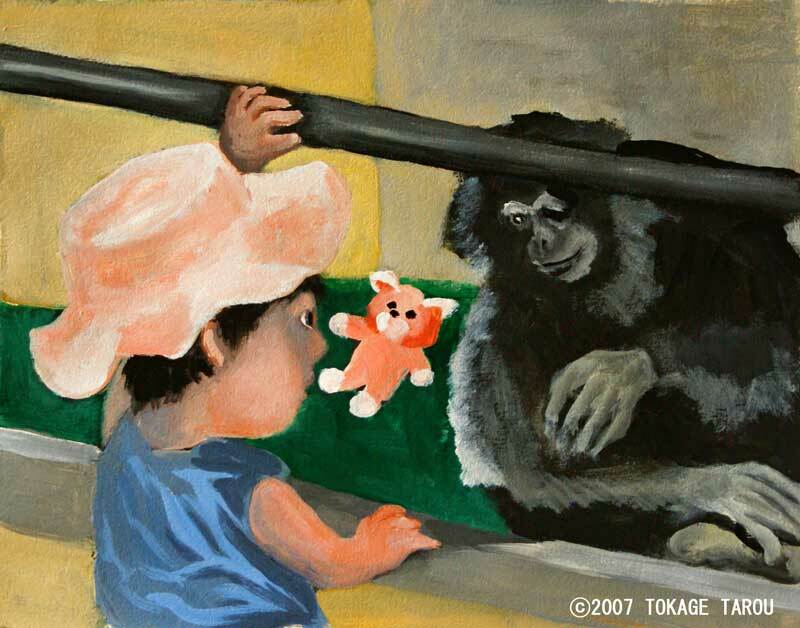 Do you think the Gibbon would still be so interested in her if the girl was all grown up? An Elephant dropping is on display. Have you ever seen this kind of display at any other zoo? It sounds interesting, doesn't it? Look! 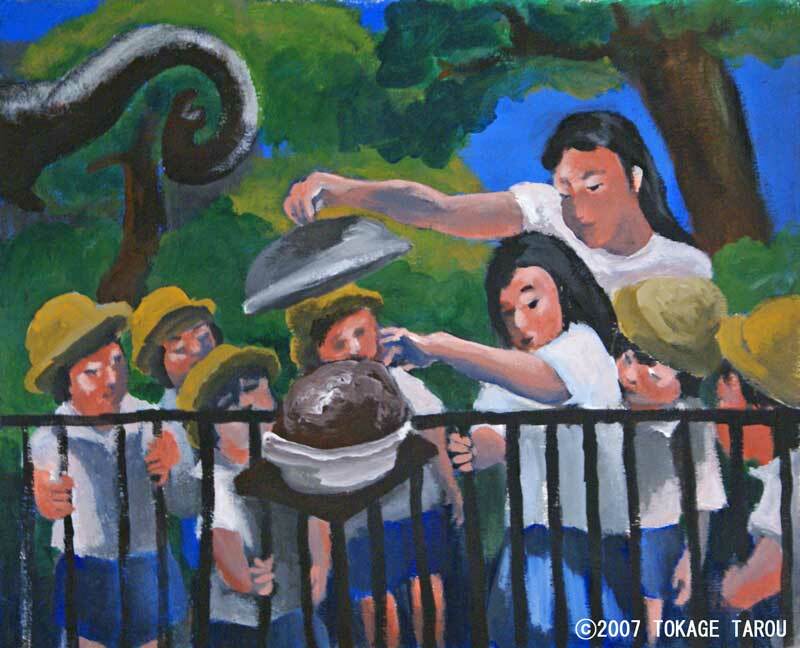 Many of the children are so curious that they want to touch it. It is quite common to see many children from pre-school. On a very hot day, they are staring at the lions with a lot of curiosity. Why don't we give those poor lions a break? Look! The King looks like he is a little shy now. I can tell it's good, isn't it? 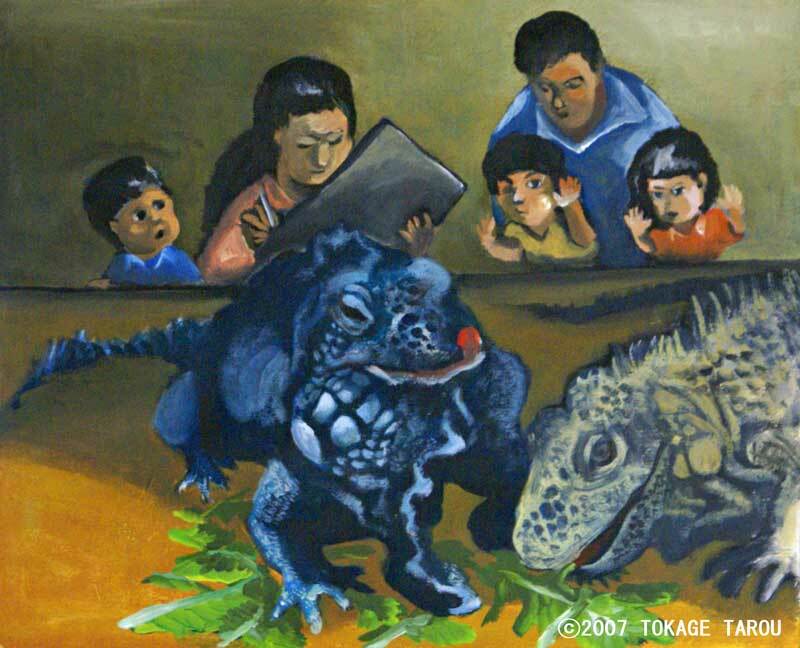 This is the first appearance of one of Jack's family members, the Iguana Reptile. They are eating nutritious vegitables and sometimes even like to lick their lips. Suddenly they turned their backs to us. Are we bothering them too much?